Patrick is the Director of Marketing at the Canadian Real Estate Association, one of Canada’s largest single-industry trade associations. Its membership includes more than 100,000 real estate brokers, agents and salespeople, working through 100 real estate boards and associations across Canada, and offers its members a large range of services including REALTOR.ca. Patrick is a bilingual marketing professional with a diversified skill set acquired by spending many years in challenging roles within both the private and public sectors. He has also held marketing and product management positions in healhcare, including at the Canadian Medical Association where he led the development and commercialization of mydoctor.ca – making it possible for Canadians to access their medical records and engage with their care team online. 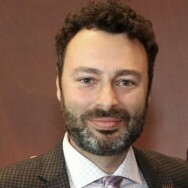 He also has extensive experience developing and implementing integrated marketing strategies, at the Canadian Tourism Commission, and leading campaigns in several countries to promote Canada as a tourist destination He also works with small businesses and tech start-ups to provide strategic marketing and product management direction, and help them make sense of marketing on the web.